Flower Beauty, as you probably already know, is a line by Drew Barrymore and is sold at Walmart stores only. I’ve tried some things from the line including the lipsticks (which are great) and other miscellaneous hit and miss products, but until recently I never tried the eyeshadows. I am always leery of trying drugstore eyeshadows because they can be so awful. Usually the one thing that is the worst in any drugstore line are the shadows. 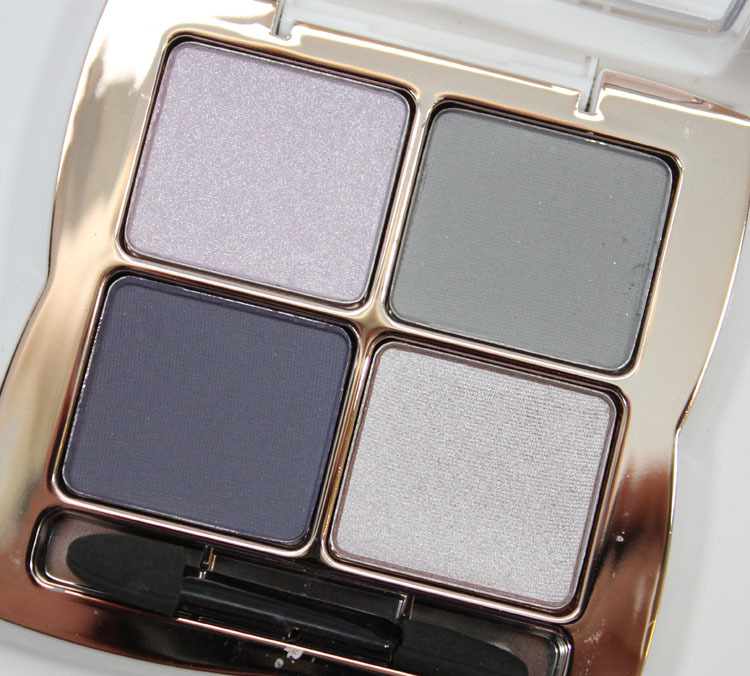 However I am here to report that the Flower Beauty Shadow Play in Face The Grey is great! I’m so glad I bit the bullet and decided to try it out. 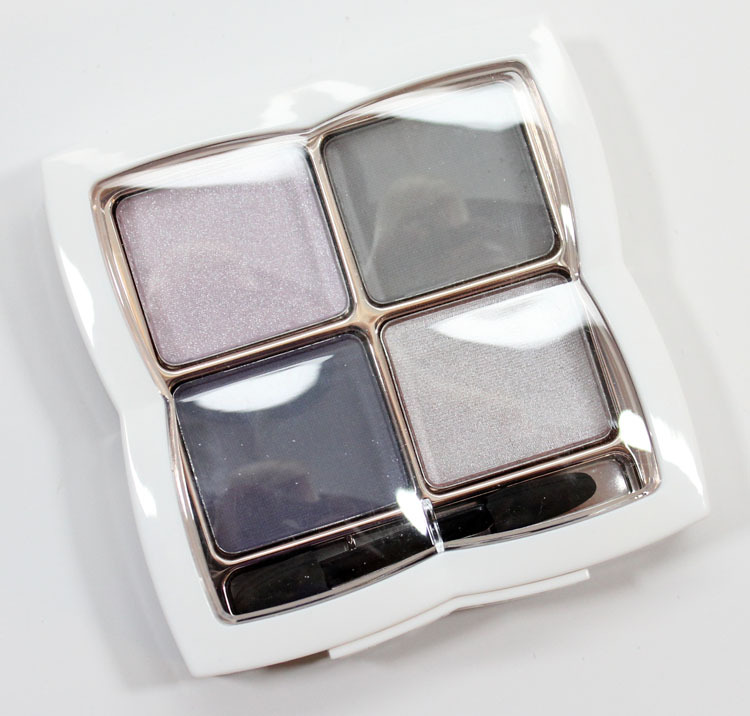 There are three other shadow quads including Foxy Browns, Blue Lagoons and Smoke and Mirrors. This one appealed to me because of the purple and grey tones. First is a shimmery pale lavender. Second is a light cool-toned matte grey. Third is a subdued greyish lavender pearl. Fourth is a deep cool greyish purple matte. All of these shadows felt nice and soft, but especially the matte shades. They applied evenly and without any chalky or patchy texture. 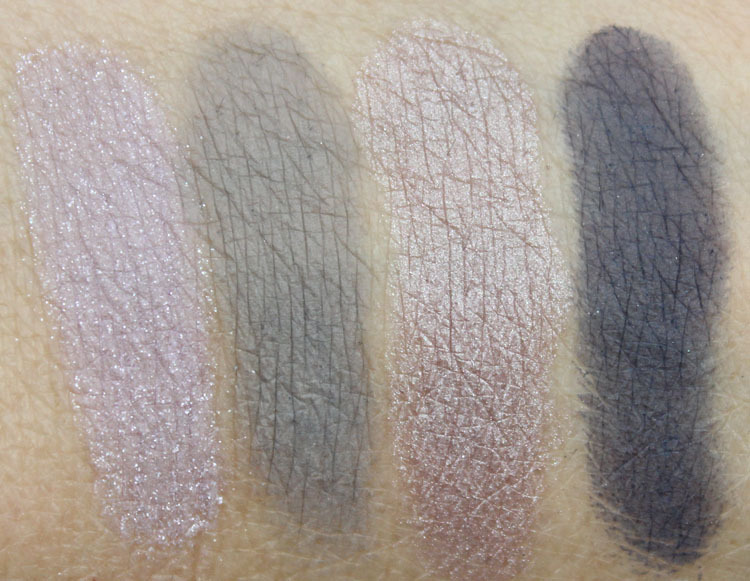 I’m always very drawn to purple and grey, so these shades are really nice together in my eyes. The first one is a little glittery so expect some fallout, but the others don’t have the shimmer. Pricing: $9.98 for 0.21 oz. 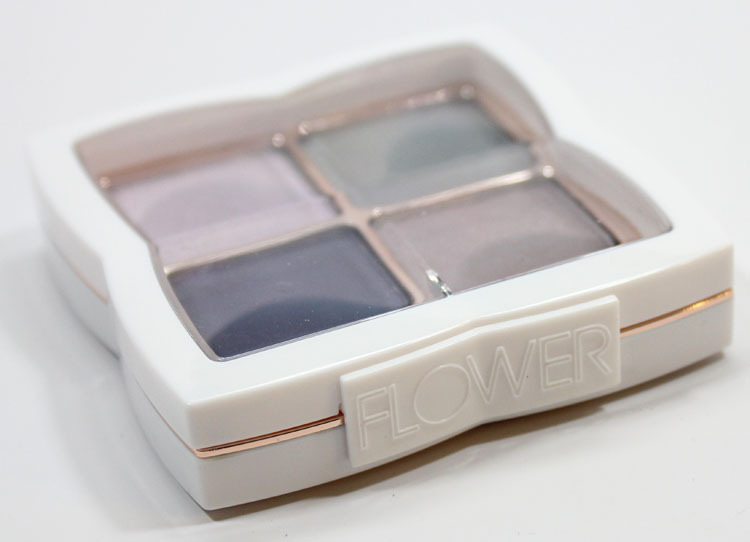 Have you tried the eyeshadow quads from Flower Beauty or anything else yet?